We're raising our glasses to the power of women! Last week I had the opportunity to cover B-Metro magazine's Women of Power party, which celebrated the release of the magazine's annual Power of Women issue. 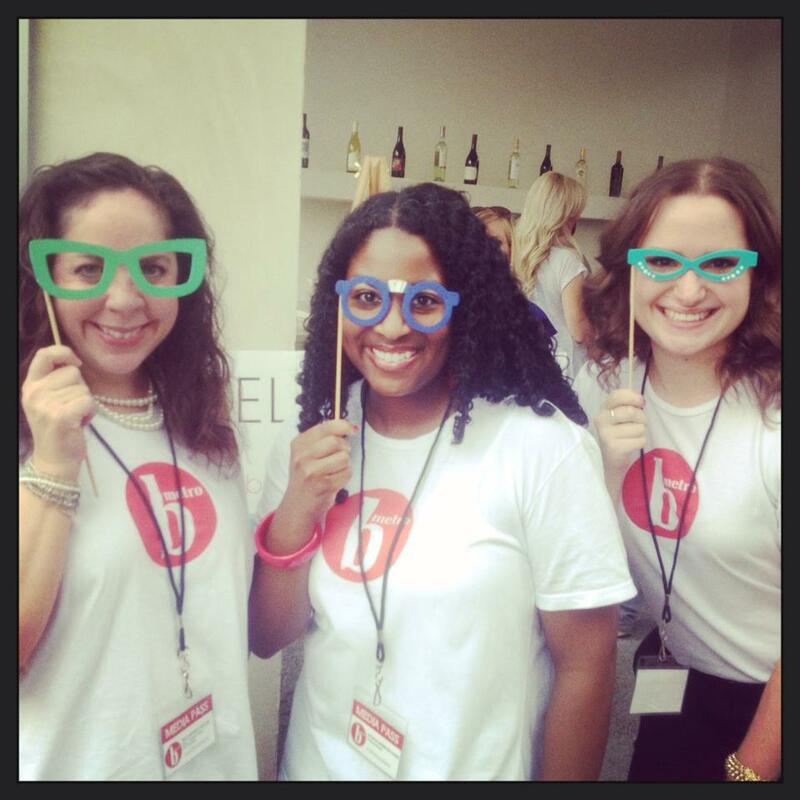 As part of the B-Metro blog team I shared highlights of the party via Twitter, Facebook, and Instagram. The Power of Women issue is my favorite. Last year I had the honor of being one of the women featured. The profile See Javacia Lead focused on my work with See Jane Write. I was quite excited to see several ladies of See Jane Write at last week's party, which was held at Vino in English Village. Abiola, Jane, and Shella came out and represented for See Jane Write! The turnout was great and everyone seemed to have an excellent time. We enjoyed delicious free hors d'oeuvres from Vino and live music by Gabriel Tajeu. Along with Vino, the party was also sponsored by Alabama Power and Cadillac, who showed off some gorgeous new cars. At the party I had the chance to chat with Raquel Morgan, a top commercial account manager at Alabama Power, about what it means to be a woman of power. "Being a woman of power is about being willing to give back and being willing to uplift other women," Morgan said. When asked what advice she would give to young women graduating high school this month, Morgan's response was simple yet wise: "Enjoy life, but make smart choices." Morgan has worked for Alabama Power for 15 years and says it's a great place to work for women and for anyone. "I've been given so many opportunities and resources to excel in my career path," she said. Morgan said that one of the women of power she admires most is Bobbie Knight, who is the head of the Birmingham division of Alabama Power. "I admire her integrity, her strength, and her intelligence," Morgan said. "And she has great fashion sense!" How do you define a woman of power? What women of power do you admire most?